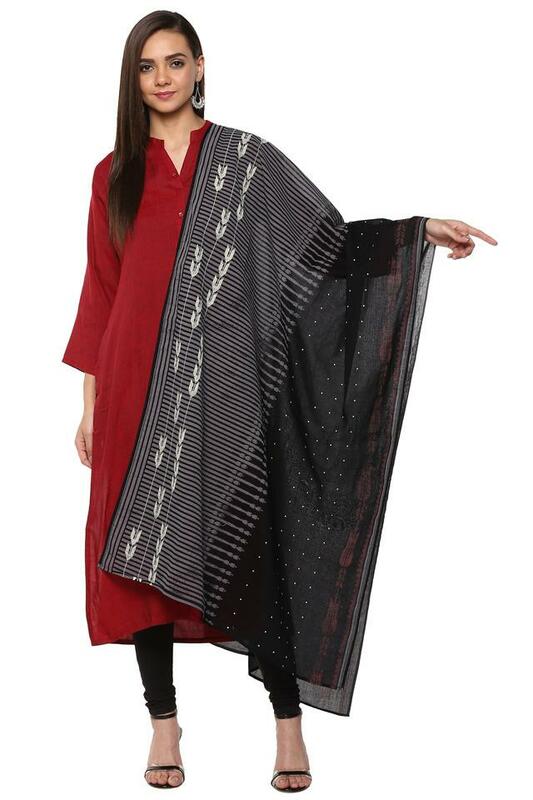 For an extra dose of feminine charm to your everyday dressing, style your outfit with this dupatta from W. Rendered from a soft and breathable good quality fabric that flaunts a printed pattern throughout, this chic dupatta will look beautiful around your shoulders. 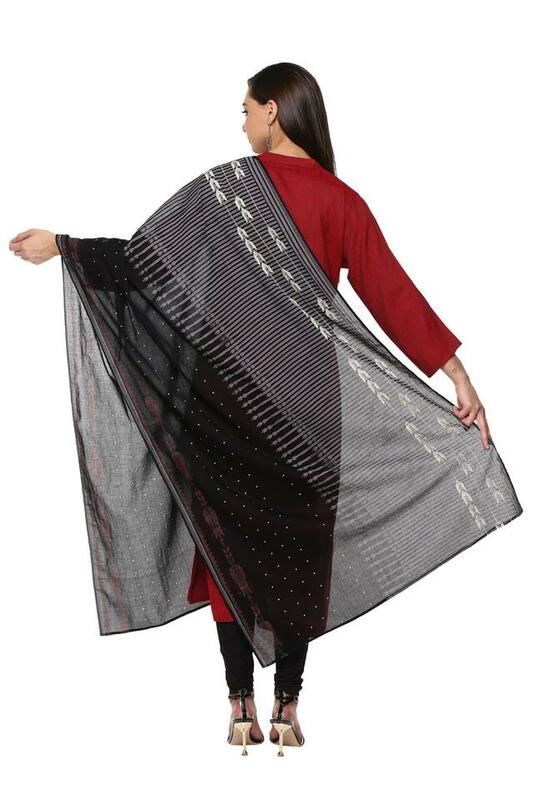 This dupatta will be an ideal pick for you to wear on a casual occasion. You can team it with a stylish kurta and a pair of palazzo pants to impress everyone with your sense of style. W mirrors the new age Indian woman. Rooted at home and taking on the world with panache, playing myriad of roles with elan and taking on the challenges in her stride. The W assortment consists of everything ranging from Salwar Kameez, tunics, work wear, festive wear, and fusion wear comprising skirts, trousers and a lot more, so every woman has ample to choose from.